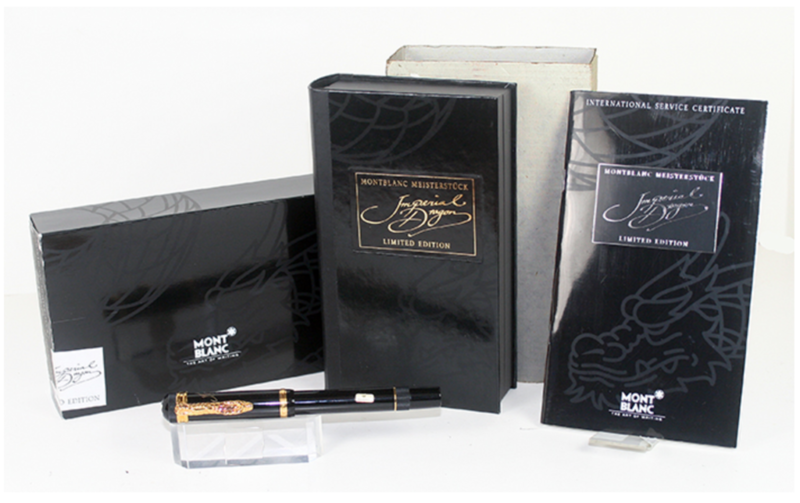 This extraordinary pen is a 1993 Montblanc Limited Edition Writer’s Edition – the “888 Imperial Dragon”. This limited edition is numbered #830/888 (lots of Lucky 8s!). This is a piston-filler in black. The Imperial Dragon is an 18K solid gold sculptured “Dragon” clip with blue sapphire eyes. Made exclusively for the Asian market and never imported into the USA, so this is extremely difficult to find. Medium nib. New-old-stock. Mint in original box with papers, outer box, and white outer sleeve. Item #6 in Catalog #84. 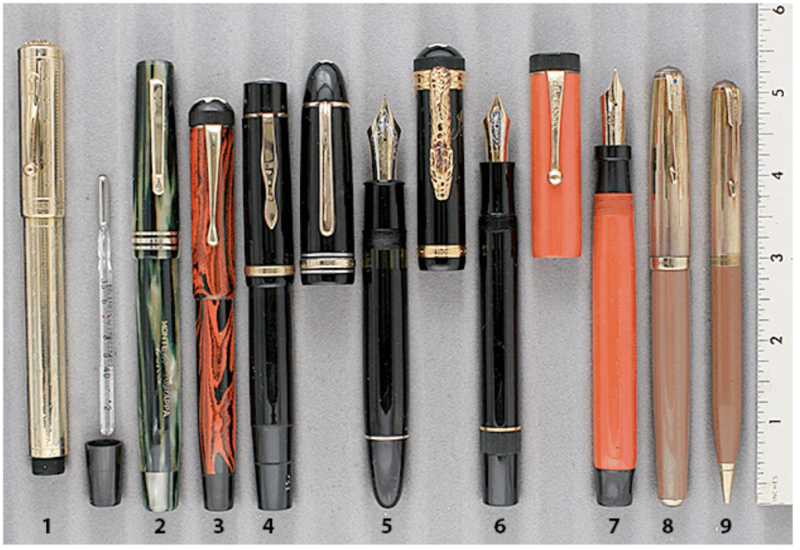 This entry was posted in Modern Pens, Vintage Pen, Vintage Pens and tagged Catalog, Catalogs, Go Pens, GoPens, Montblanc, Vintage Fountain Pen, Vintage Fountain Pens, Vintage Pen, Vintage Pens. Bookmark the permalink. Follow any comments here with the RSS feed for this post. Post a comment or leave a trackback: Trackback URL.